I would definately recommend Dr. Gordon and staff. I was very pleased with their professionalism and care. I was given severaloptions for further treatments that I need. Katy was a huge help and I felt at welcome and at ease. I would definately recommend Dr. Gordon and staff. I was very pleased with their professionalism and care. I was given several options for further treatments that I need. Katy was ahuge help and I felt at welcome and at ease. Dr. Gordon was professional, and knowledgeable and great. He provided options that I’ve never been asked by other podiatrists.This was my first office visit and strongly recommend him to anyone having foot issues. The staff were professional and answered questions as well. Dr. Gordon was professional, and knowledgeable and great. He provided options that I’ve never been asked by other podiatrists. This was my first office visit and strongly recommendhim to anyone having foot issues. The staff were professional and answered questions as well. 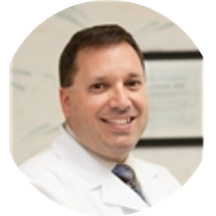 Dr. Steven A. Gordon graduated with a Bachelor of Arts from the University of Pennsylvania in 1987, and received his doctorate degree from Temple University College of Podiatric Medicine in Philadelphia, Pennsylvania in 1991. He completed his residency in Reconstructive Surgery of the Foot and Ankle as well as Postgraduate Training/Fellowship in Lower Extremity Reconstructive Plastic Surgery at the Northern Virginia Podiatric Residency Program in 1994. In addition to sponsorship by the Medical College of Virginia, this comprehensive surgical residency involved training at multiple affiliated hospitals including Georgetown University Hospital and Inova Fairfax Hospital. Dr. Gordon is Board Certified by the American Board of Podiatric Surgery and a Fellow of the American College of Foot and Ankle Surgeons. He currently serves as chairman of the podiatric surgery section of Reston Surgery Center, where he sits on the Medical Executive Committee. In addition, Dr. Gordon serves as a member of the Infection Control Committee at Reston Hospital Center. He is continually involved with training surgical residents at the Medstar Washington Hospital Center Podiatric Surgical Residency Program, and serves as the liaison for the Residency Program at the Reston Surgery Center. Dr. Gordon’s special interests include reconstructive foot and ankle surgery and all aspects of medical and surgical management of the diabetic foot. He is a member of the American Podiatric Medical Association, the Virginia Podiatric Medical Association, the American Diabetes Association's Foot Council, and regularly participates in the Novant Health Prince William Medical Center's Diabetes support group meeting and annual Diabetes Fairs. Dr Gordon was recommended to me by an old friend who is a retired podiatrist so I felt I would be in good hands. He is very friendly and professional. He explains in terms that are easy to understand and tellsyou what should be done for your problem. He is patient and explains procedures clearly. Very knowledgeable doctor. Hard for me to be objective when after two visits my feet are still bothering me, but we are making progress in trying new things and hopefully this can be fixed. He is rated as one of thetop podiatrists by Washingtonian magazine per the covers posted in the office. No wait but his bedside manner was seriously lacking. I felt like he was interested in me as a patient. Dr. Gordon is very professional and knowledgeable. He makes you feel welcome and listens to your concerns. Dr. Gordon is also very ethical. I highly recommend him. Good visit. Answered all my questions. Fast service. Dr. Gordon is good but wait time is not acceptable.